Stream anime episodes online for free, Watch One piece Episode 6 English version online and free episodes. 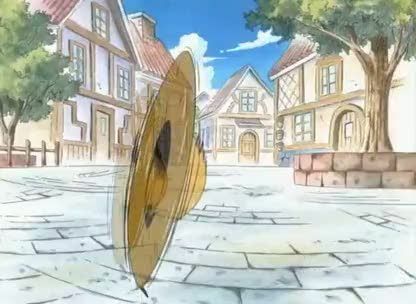 Anime Episode guide One piece Episode 6 English dubbed The Beast Breaker Still trapped in the cage, Luffy meets a small dog guarding his master’s store, despite knowing that his owner is dead. Mohji the Beast Tamer’s lion, Ritchie, inadvertently breaks Luffy’s cage open, and sends him flying. The dog tries to protect the store, but is no match for the much stronger Ritchie, and Mohji burns the store down. Angered by Mohji destroying what the dog finds precious, Luffy mercilessly punches him out. Moved by Luffy’s concern for the dog, Nami agrees to work with Luffy for the time being.